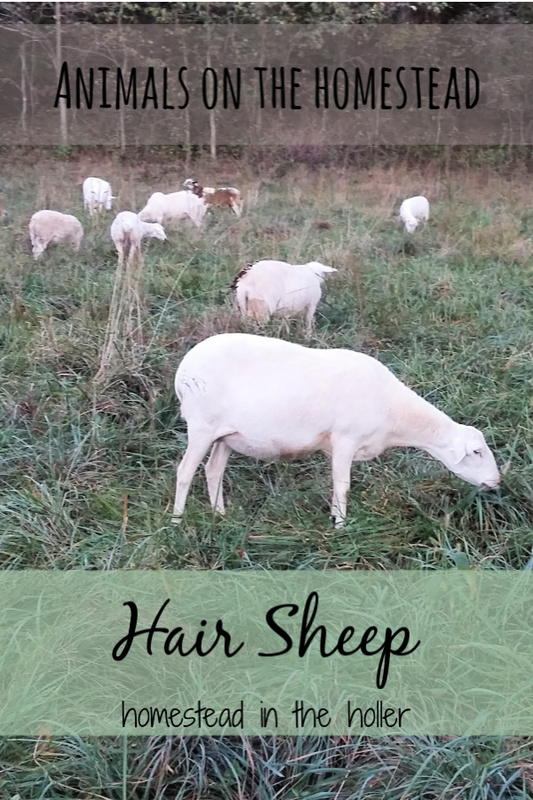 Hair sheep are not a fiber animal, they are raised for meat. They’re simply sheep that do not need to be sheared. Instead, they shed their coat every spring and then grow a thick coat again the following winter. Finding a shearer in our area of the country is difficult, so not requiring a shearer helps tremendously! This also help them to handle our hot and humid summers here in southern Missouri. 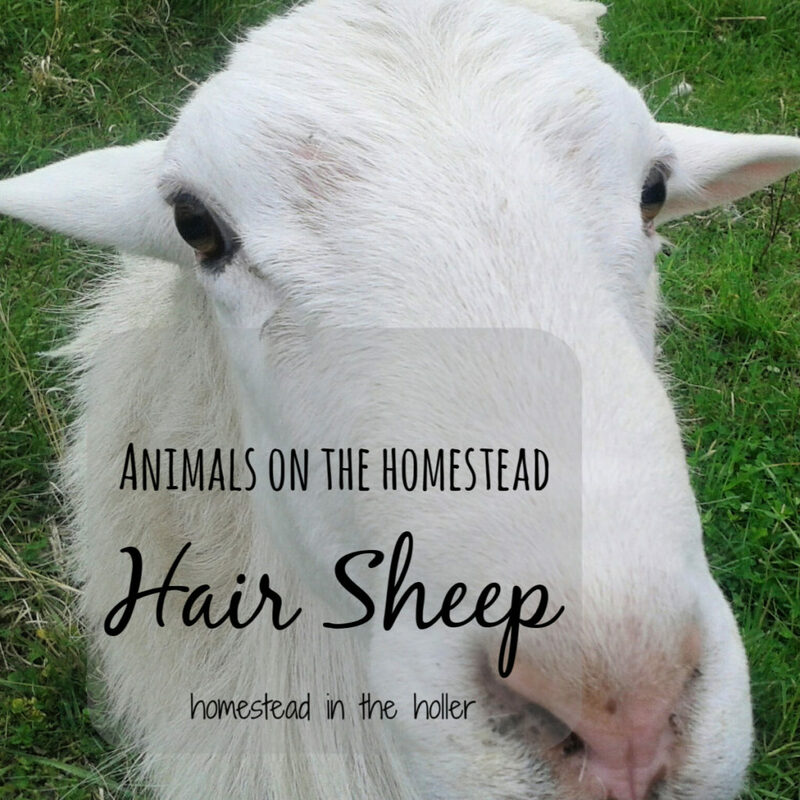 Some common breeds of hair sheep include Katahdin, Dorper, St. Croix and Barbados Black Belly. All are known to be hardy and easy to care for. Hair sheep are less seasonal than most wooled sheep which means that they breed back more quickly. Some are even able to get lambs twice a year. Ewes are very fertile, typically having twins occasionally even triplets. They breed and give birth easily in the pasture. They’re good mothers and their lambs are usually lively and vigorous. It is rare that you need to intervene with a birth. These sheep are practically hands off when it comes to birth and caring for lambs. What’s not to like about that? Hair sheep are more resistant to internal parasites than other sheep breeds. This does not mean that they can never get worms. No sheep breed is completely resistant. You still need to watch for signs of parasites and manage accordingly. If left in the same pasture or a muddy pasture for too long, parasites will become an issue. Proper grazing management will help diminish the risk of internal parasites. Practicing rotational grazing and moving the animals at least every 14 days keeps them ahead of the worm cycle. We practice intensive rotational grazing with our cattle and sheep. We currently have the cattle and sheep in separate pastures, but someday hope to join them together as a flerd. Currently, they graze ahead or behind the cattle rotation, which works great because they prefer to eat the weeds that the cattle won’t eat. 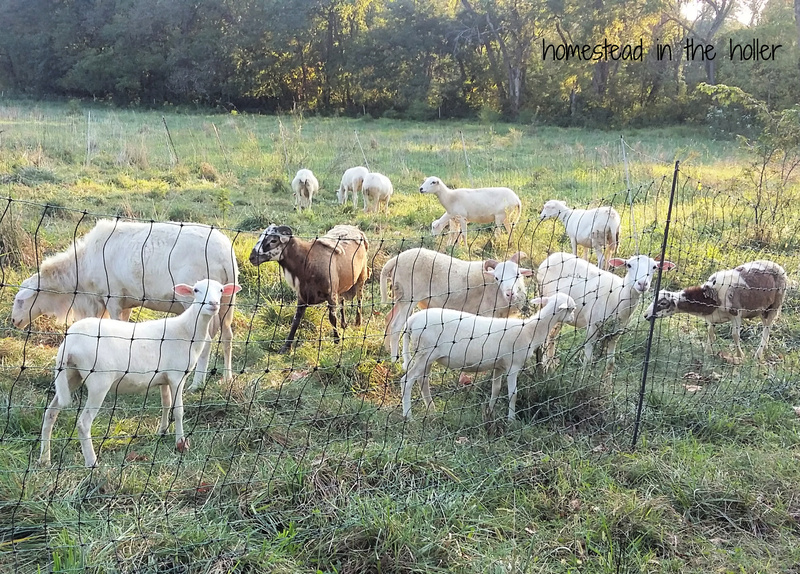 Sheep will eat grass and clover, but our sheep seek out the giant ragweed and sericea lespedeza first. The pastures that the sheep and cattle have frequented the most are our pastures with the best grass. Definitely confirming our belief that multi-species grazing is the best for both animals and land. Hoof rot is very uncommon in hair sheep. But like parasites, if they are in muddy pastures for too long, the risk for hoof rot goes up. Their hooves are also slower growing, which means they don’t require hoof trimming as often. Keep in mind that grain fed sheep have faster growing hooves, so avoid feeding grain if at all possible. We went there and played favorites. We currently have both Katahdin and St. Croix sheep. I like both of these breeds really well. Both are hardy and grow at about the same rate. They do grow more slowly than other breeds, but even a 2 year old ram doesn’t have a gamey or mutton taste. St. Croix rams are polled, which is good because some of those rams take their job of guarding their flock very seriously. All of our hair sheep have a mild temperament, but even so, never turn your back on a ram. Most importantly, St. Croix sheep have healthy lambs and are overall extremely hardy and healthy. Are you ready to get some sheep? 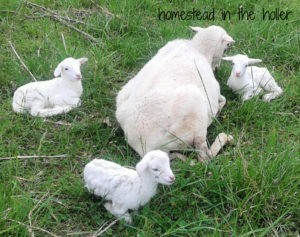 This entry was posted in Animals and tagged animals on the homestead, hair sheep, sheep. Bookmark the permalink.